This is my a ‘go to’ service when I’m looking for a place to stay when travelling. If you spend some time looking for accommodation there you can find really interesting options: you can stay on a boat, in a lighthouse or in beautiful designer flat to name a few. Get £25 off for your next trip here. When there are no suitable options on AirBnB, or I want to stay in a hotel or a hostel, I simply go to Booking.com. I really like using price filters when looking for a place I want. It gives me an idea how much I can expect to spend in that particular place. Get £15 back when booking through my link. For flights, I always use Skyscanner and then double check the prices on the airline websites. I have never had any problems when booking through this website. Usually, it redirects you to a third party website that sells tickets. I recommend you to read reviews first if you are not sure about trusting those resources, but usually, it’s ok.
It’s perfect to find good places to eat near you. That’s how I discovered an amazing Ethiopian cafe near my house which was well hidden. I highly recommend checking what’s around you, you never know what you can find. Also, I check there what are the main attractions in the place I’m travelling to and reading reviews what to visit and what to avoid. You can also book different travel activities and experiences through this website. I use my American Express card for my everyday purchases to collect miles. Read my story ‘How to travel business class for £25’ and what to keep in mind when using a credit card. You can get 6000 miles when signing up here. 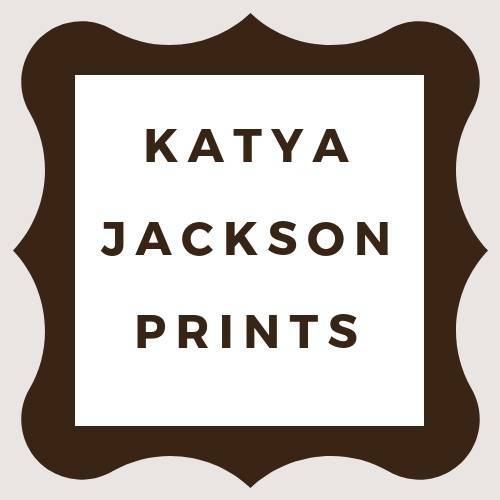 This is a UK based printing company that will turn your Instagrams into a beautiful book or a wall poster. I really like them for their aesthetic and minimalist feel. They also do retro prints, Instagram Gallery Frames and even wooden calendars. Check them out! If you need any kind of imagery for your blog, website or social media account you might want to search for photo stocks. The Stocks combines all good free photo stocks. I used to go to the individual website one by one, but now it’s much to have all of them in one place. Bookmark it. This tripod helps take clear photos, shoot videos on your phone and is also great for self-portraits. No more blurry photos because of shaking hands! If you live streams it’s a must-have thing for you. When there is no one to help with a photo of you, use a remote shutter. It’s very small and easy to hide in your pocket. Also when I take video clips it’s much faster to start/stop recording with a remote shutter. I use iPhone and take lots of photos so my battery dies very quick. Also, I use my phone a lot during the flights, and the only way to keep it alive is an external battery. I’ve been using EasyAcc external battery for a few years already. It allows you to fully charge your phone for 7-8 times and perfect when you don’t have access to a plug. It did a great job when I went to Glastonbury and let me have my phone always charged for 5 days! I think everyone has already heard about Emil Pakarklis and his iPhone Photography School. This course teaches you everything from all the features of iPhone camera, creative photography techniques to how to compose and edit your shots. It’s very detailed and easy to follow. Most people struggle with using light when taking photos with an iPhone and Emil explains in details how to nail it. My step by step guide on how to launch a digital product with the help of Instagram. While people sell almost everything there now, I love the idea of having an online product to sell. 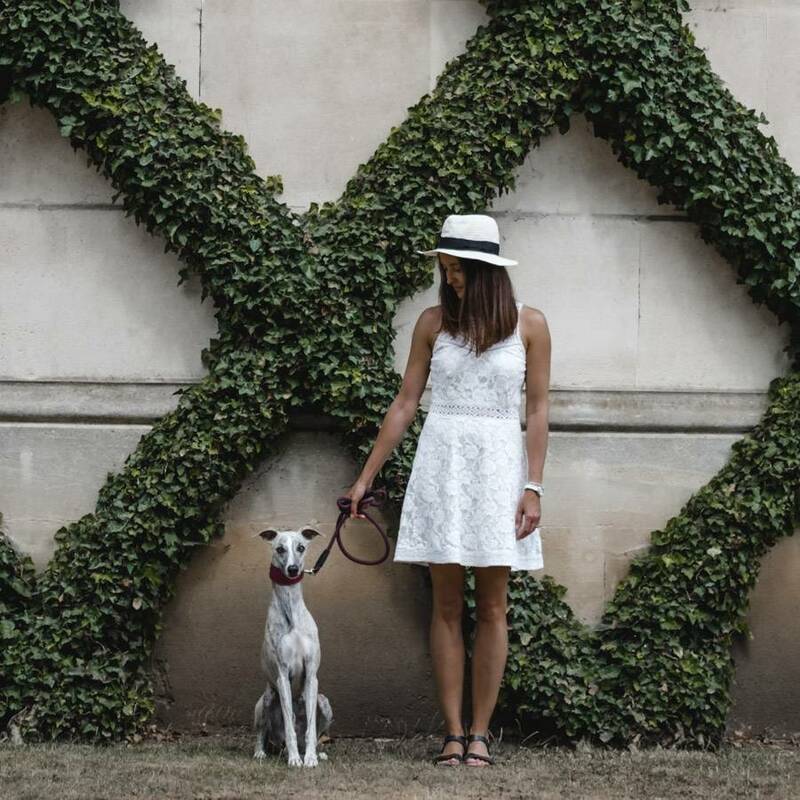 Check out how I launched my Instagram Guide to London here. I absolutely love this app because it helps me to plan my feed and maintain the overall look of my Instagram account. I upload a few photos I want to post, and then easily move them around until I see they all look good together. You can also schedule your posts and then the app will send you a notification to publish your post. NB. It doesn’t post photos for you. If you are thinking about starting your own blog or set your website, look at Bluehost. For $3.95 a month you get a domain and hosting, which is a really good bargain. Bluehost is being used by thousands of bloggers and it’s very simple and straightforward. For sending newsletters and emails to my blog’s subscribers I use ConvertKit – an email provider with a lot of functionality. You can easily build landing pages and opt-in forms to start collecting emails for your blog. Having an email list is a great tool to build strong relationships with your readers and future clients. There are 2 things I love the most about ConvertKit: 1) Nathan Barry, a founder of this service is also a blogger and he designed this tool knowing what challenges we face when it comes to managing an email list and 2) You can segment your list and set up automated emails that will introduce your readers to your best content on autopilot. 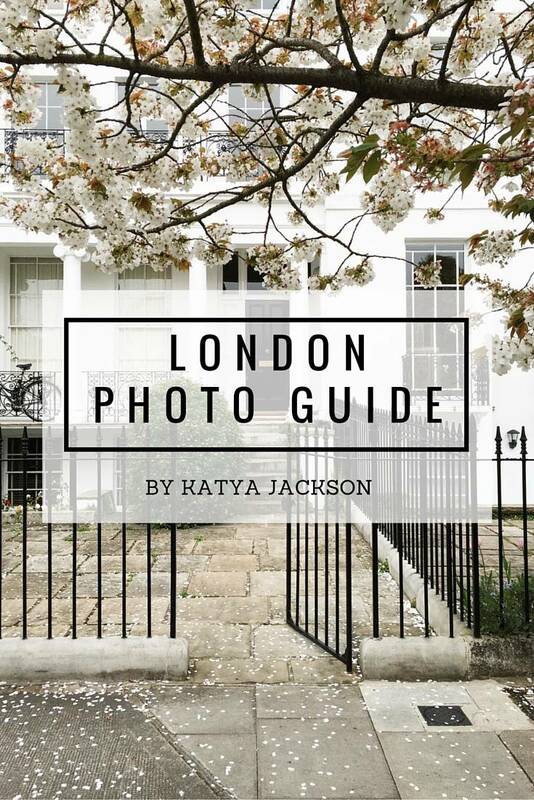 My London Photo Guide sells and delivers on autopilot so I don’t have to manually send it to customers. For that, I use GetDPD – a service for delivering digital products once the payment has been made. It’s basically an online cart for ebooks. Together with ConvertKit (see above) it’s a perfect combination for another stream of passive income. When I do Give Aways I like to use KingSumo – a tool that helps to build a simple page for a raffle. It has a countdown timer, collects entries, picks and notifies a winner for you. English isn’t my native language so I use a tool called Grammarly to check for grammar and spelling mistakes. You can drop your copy on their website for a quick check or install it as a plugin for your browser. I love it! Ultimate bundles is a collection of ebooks, courses and other resources available for a very discounted price. It’s not only a good bargain but also an amazing way to make some money online by promoting these bundles to your audiences. The affiliate commission is about 40%. They provide lots of training, help and support along the way. I’m a big fan of writing my ‘to do’ lists and ideas by hand and for a couple of years, I had been buying Moleskine notebooks until I discovered Leuchtturm1917. It’s a bit wider and gives more space to write and draw. Also, I think it’s paper is a bit better than Moleskine’s, which is important if you like using different sharpies and special markers. As much as I love analogue planners and writing my ‘to-do’ lists by hand, Trello is a life-changer for me. Basically, it’s a system of boards and cards to organize everything in your life. I use it to keep all my links and login details for a quick access, recipes, editorial calendar for a blog, travel planning, etc. I used to keep everything in Evernote, but I find Trello much easier to navigate and find what you need much faster. If you have a blog or a website which is struggling to get traffic from sites like Google, then try Pinterest. I used to think of it as another social media channel, but in reality, it’s a very powerful visual search engine. To get a decent traffic from Pinterest you have to pin a lot and truth to be told it can be very time-consuming. Especially if you are like me and have a full-time job and other things to do, it’s almost impossible to pin daily. That’s when Tailwind comes very handy. It’s a service that allows to schedule pins and all I do is spend about 2 hours every month to set it up. Amazing! Michelle is the queen of affiliate marketing. Last year she earned almost a $1,000,000 on her blog and she was published in Forbes as a huge success story. I was super skeptical about all these until I earned my first $250 a few weeks after I’d completed her course. Diversifying your income is always a good idea and affiliate marketing really works. I discovered Skillshare when I was looking for online photography classes and what I found was an amazing resource with thousands of videos on different topics. There are some classes and courses that are available for a free membership if you don’t want to pay. As a big fan of online learning, I sometimes binge watching Skillshare for hours. Check out my favourite photography classes here. Creative Live for me is the next step after Skillshare. It contains professional and detailed courses on a range of topics such as business, photography and marketing. It also feels a bit more professional. It’s free to watch when it’s on air but if you miss a course you can always purchase it. As a life hack – you can watch one video a day for free from a tablet or other mobile device. As I already mentioned before, for all my purchases I use my American Express credit card to collect miles which you can spend later on travel and other services such as spa days at luxury hotels. 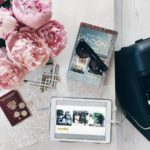 More about how to use it and not get into debt in my post ‘How to travel business class for £25’. Can you imagine making money while spending it? It’s unbelievable but the fact that when buying online through cashback services like Quidco you can get some money back. Simply register for free and search for your favourite stores in their system. It takes a bit of a time to get used to always checking Quidco before shopping online, but if you can get some money back, why not to try it? *This post may contain affiliate links, which means that if you click on one of them, I’ll receive a small commission at no extra cost to you.